The holiday season is in full swing, meaning you’re probably juggling a mix of gift shopping, festive gatherings, and office parties. After another busy year, the holiday break brings an opportunity to rest and recharge without too many digital distractions. You want to keep your phone handy for taking photos and keeping in touch, but wouldn’t it be nice to properly switch off from work and reduce interruptions? Here are a few tips on how your Android device can help you focus on being in the present and spending time with family and friends. In August, we released the beta of our Digital Wellbeing features to Pixel users running Android 9 Pie. In November, our Digital Wellbeing features came out of Beta and are now live on Pixel phones and several Android One devices, like the Motorola One, Xiaomi Mi A2 and Nokia 7 Plus. 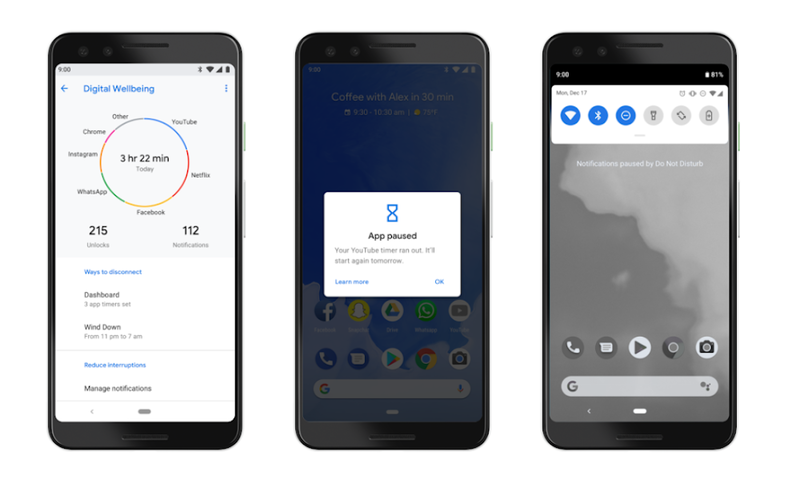 We’re working with partners to bring Digital Wellbeing and Android 9 Pie to even more devices soon. In Settings, check out the Dashboard in Digital Wellbeing to help you understand how you spend time on your phone and set time limits on specific apps—or use Wind Down to help you get to sleep at night by transitioning your display to a grayscale screen. And on Pixel 3, when you don’t want to be bothered by rings or notifications, just flip your phone to Shhh—an easy gesture that turns on Do Not Disturb and minimizes distractions. It’s the perfect way to enjoy your holiday dinner, distraction-free. Another useful tool for disconnecting during the holidays is the work profile. This Android feature, available on personally enabled work devices as part of a managed device program, lets you temporarily turn off corporate applications so you won’t get alerts or be tempted to check your email just one more time during your holiday. 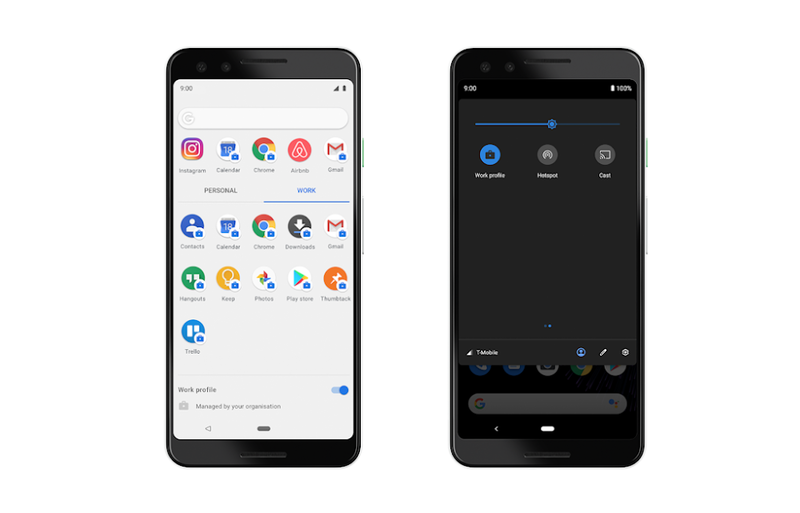 On devices that run Android 9 Pie, work apps are neatly organized into their own tab in the All Apps menu, meaning they can easily stay out of sight (and hopefully out of mind). There’s a handy toggle at the bottom of the screen, enabling you to put work mode on snooze. When it’s time to get back to work, just turn it back on. If you’re on an earlier version of Android, from Android 6.0, you can turn off the work profile by going to the notification drawer and finding the option in your settings menu. Apps for work are bundled together and can be turned off with the flick of a switch. We hope you can switch off from work, enjoy the break and recharge for 2019.